You are here : SunHealth AZ Blog Energy Drinks – Too Drink or NOT to Drink? Most people put in a long hard day, commuting to work or school, working, school, sports, chores, family time, charity work, home chores, cooking meals for family, carpooling, spending time with friends and family, the list goes on and on. Most people feel a “little” worn out, either during the day or at the end of the day. Most people feel a “little” exhausted or tired at some point in their busy day. Most people realize this and feel they need a “wake” up at some point in their busy day just to get through the day. Most people are looking for more energy to get them through the day with more ease. We all want to feel “awake”, aware, sharp and full of energy to do the things we want to and to enjoy the day. Nobody likes to feel exhausted. I personally used to feel tired during the middle of the day, around 3:30 – 4:00pm. I felt, I needed a “wake up” and did not know what to do. 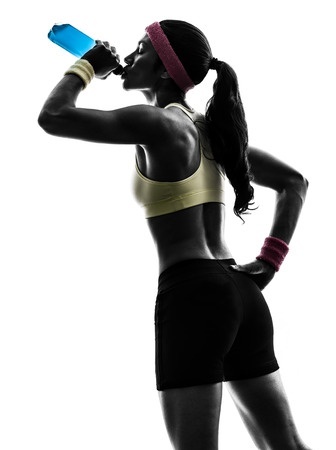 One thing that is critical to having the energy you want is hydration. The body needs to be hydrated. So many body systems work better when properly hydrated. Most people are not drinking enough water to hydrate their body. 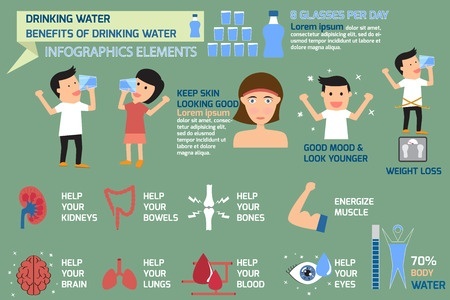 Not being properly hydrated is one of the biggest reasons for the body to feel sluggish, tired and not preforming well. I like to suggest drinking 6 to 8 glasses of water a day. You can see how water assists many of the bodies vital organs. I for one have a bottle of water on my bedside table at night mixed with the Sunrider Fortune Delight Lemon Drink ready for me to drink as I wake up in the morning. When I get up in the morning, I sit up slowly relax, and drink down my 16oz of Sunrider Fortune Delight Lemon anti oxidant drink , already mixed with water. I feel that the hydration of the water mixed with the Sunrider Fortune Delight Lemon Drink, properly hydrates AND nourishes my body with key nutrients and the much needed hydration to cover the dehydration from the night before and to hydrate and nourish my body for the first 4 – 5 hours of the day. Try this one night, get a bottle of water and place it on your bedside table. Once you wake up, sit up in bed and just sip the bottle of water down slowly. Even if you just have half a bottle at first, rest, and drink the rest before you get out of bed. You will feel fantastic! During the rest of the day, I make sure my water bottle is next to me all day. I carry a #Sunrider 22oz bottle with me everywhere I go. I make sure to fill it up 3-4 times a day with water and one or two of the Sunrider Healthy Drinks. I even set my alarm on my phone to go off every 3 hours to remind me to drink my Sunrider Drinks mixed with water. What about all those Energy drinks out there on the market? 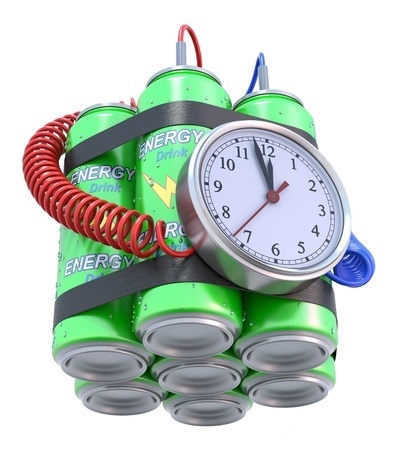 How about all those Energy drinks out there on the market? Do they help you hydrate and nourish your body correctly and in a healthy manner ? Like we said before, most people are looking for more energy. So what about all those “Energy” drinks out there in the market (they are everywhere). Are they even safe to drink? Some of these energy drinks are loaded with sugar, caffeine and Guarani. You can check our other blog post on Sugar and Stevia to read more about the amounts of sugar in these drinks. Check out this fantastic video from Dr. Chen and how he explains the dangers of those energy drinks and the benefits of healthy drinks.